You’re late to the game. And you’ve got some making up to do. That’s how I feel almost every time a paddle out. As someone who started in the white waters at 30, let me share my surf experience and tips for learning to surf at 30, 40 or later. Here I will talk about Managing Expectations, Surf Fitness, Localism, Surf Equipment and Surf Guiding. No matter your reasons, most older surfers I speak to are in the same boat as me. They don’t expect to be doing airs or featuring in edits. Maybe they (we) did, but those dreams were dashed, taking a beating in a miss-timed shore break washing machine. Nowadays, we really just want to improve our surfing to catch more waves, to surf in more places, and to be safer in the water. How much time (and money) can you commit to this? Learning to surf usually takes a long time. Surfers measure the amount of time they’re been surfing in years. But the truth is, the number of years doesn’t say much about your surf level. Because if you’ve surfed for 1o years but only go for a few weeks a year, you can’t improve much. Whereas if you’ve been surfing consistently (a few times a month at least) for the past 4 or 5 years, you’re probably getting pretty good. If you are considering going on a surf trip for 3 weeks or more, think carefully about where you go and during what season. For example, in Northern Portugal the winter is great for experienced surfers, but not the best time for beginners (unless you visit a protected surf spot like Matosinhos in Porto). The best time for beginners is summer or autumn, especially if you are considering a long stay. If you hate crowds, maybe try the mid or low season. You may get less ‘good days’ but on your good days you’re likely to catch more waves. Boards, wetsuits, flights and surf courses all cost money. For value for money I would recommend renting equipment and taking courses over buying all your equipment and a van and trying to learn on the road. I tried it. And I learned more in my first month working at a surf camp than I did in a whole year driving around trying to become a pro surfer all by myself. What are your local conditions? Do you live somewhere where you can access waves regularly? If so, go as much as possible and paddle out in almost anything (as long as it’s safe). Even if you don’t catch many waves, this will help with your balance on the board, your paddling, and your understanding of the ocean. If you live in a big city, check to see if there’s a Surf Club you can join to meet new people, ask questions and plan trips. Surfing is a hard sport physically. That said, I have seen both older and heavier people learning to surf surprisingly quickly. So your size or age shouldn’t put you off. But good fitness will help a lot. My top tips for surf fitness for beginner and intermediate surfers are Yoga, Pilates, Swimming and Cross Fit or Strength Training. 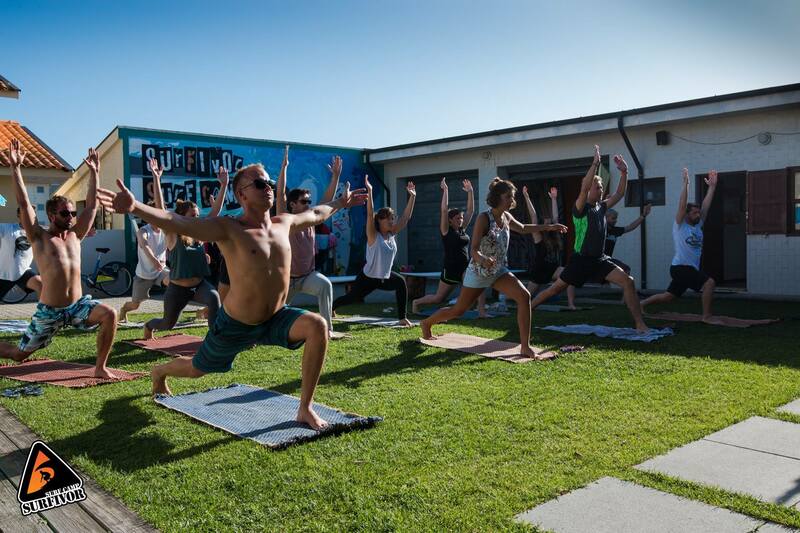 Yoga improves both flexibility and strength, as well as incorporates mindfulness training that can be incredibly helpful in managing fear in the water. Pilates helps with mobility and core strength. Good core strength with improve your pop up speed and board control. Swimming is incredible for your shoulders, chest and back strength. If you have access to a pool and enjoy swimming, do as much as you can to strengthen your shoulders for paddling. Use Cross Fit and Strength Training to improve your explosive power. Some people imagine surfing to be this calm, relaxing session sitting on your board in the sun as the perfect wave rolls straight to you. In reality it’s more often like paddle paddle paddle, get smashed, duck dive duck dive turtle roll, paddle paddle paddle, oh my god here comes the wave, pop up… and then do it all again. Don’t smoke! You need your lungs to pump oxygen to all your muscles. If you smoke you will get tired much faster. Rules in the water are important. Learn who has priority on the wave. Learn about safety in the water. Practice duck diving and turtle rolling. Ask at a local surf shop or beach cafe, or a local surf school about any hazards with particular beaches. These are the guys who will help you. I would avoid asking some random person holding a surfboard on the beach for help unless you absolutely have to or they seem friendly. Not to say that local surfers are always standoffish! It is just that the people working in the shops and surf schools are better prepared to help you. You can also prepare by researching the area or specific beach where you’re surfing. Some places are notorious for aggressive localism, and some places only get aggressive if it’s busy. Some places rarely get busy or aggressive. Try to learn some of the local language. Especially some useful one word terms like, “Good” or “Helllll yea”, or “Sorry”. “Wooooohooo” is universally understood. These can help to set a nice vibe in the water. Because even the Big Deal Local Surfers like to be complimented on their good waves. Smile, genuinely, even if they don’t smile back. And don’t expect them to smile back. My non local friends and I laugh about this thing that happens occasionally: you give someone a big smile and hello in the water, and they straight up blank you. What is that?… Well, I guess it’s intimidation. But forget about it. If that happens, keep smiling but give the surfer some space. Maybe he’s having a terrible day. Try not to let it kill your mood and be happy in yourself for creating a positive environment in the water. Research suggests that when you smile dopamine, endorphins and serotonin are all released into your bloodstream, making not only your body relax but also work to lower your heart rate and blood pressure. Smiling during your ‘pop up’ is also one of my top tips for take-offs, for this exact reason. Apologize, genuinely, if you make a mistake. Every single guy out there has made many mistakes! Whether it is being right on the inside of someone taking off, or running into someone. Or, god forbid, running into someone’s board. The most common mistake is dropping in. Everyone makes mistakes and if you are genuinely apologetic most surfers will accept your apology. If you get unlucky and meet an angry surfer, very much like meeting an angry driver, it is a shame but it happens. Buy a wetsuit (if you need one) before you buy a board. If possible, spend time trying on different wetsuits in different shops. Don’t bother buying your wetsuit online if you haven’t tried it on. It’s really important to get a good fit for your body. This is because wetsuits can rub and cause skin rash, more often if they are too small. Unfortunately a bad wetsuit rash is hard to heal without staying out of the wetsuit altogether. Wetsuits will also stretch after use. If your wetsuit is too big to start with, and then stretches, it won’t keep you warm for long. The people working in surf shops should be able to help you select and advise on the fit. There is a lot of information on the internet about choosing your first surfboards. And here is some more… The best advice you can get on buying a board will come from more experienced surfers who have seen you surfing. Different people will have different advice, so it’s a good idea to talk to a few people. My advice is, save your pennies. If you aren’t sure what you want, buy second hand and keep your money for flights and accommodation or surf courses. Feel free to email us for surfboard advice based on your experience level and your surfing goals. Take a Surf Course or get Surf Guiding. Sometimes more “experienced” surfers show up to our camp with their rental car and their immaculate surfboard and want to figure it out alone. They don’t tend to catch as many waves as the people in our intermediate course. And it’s not because we refuse to help them. We tell them which spots to check and at which tides, and try to help as much as we can. But if you’ve never been to a spot before it’s incredibly helpful to have some advice from another experienced surfer on the beach. It takes years to learn the local conditions and understand all the factors that make the best waves. These include swell and period, wind, tides, sand banks, and season (1 meter in the winter is not the same as 1 meter in the summer) all constantly changing. The local surfers spend a lot of time driving around just watching the ocean, “checking the spots”. They have the best advice you can get. If you are reading this article, you are not likely to catch tons of waves if you go it on your own. To catch the most possible waves, take any local help you can get and try to go along with a surf guide or surf course. Even if you are only renting and not participating in the surf course, go to the same beach at the same time. Or follow an instructor or locals advice. 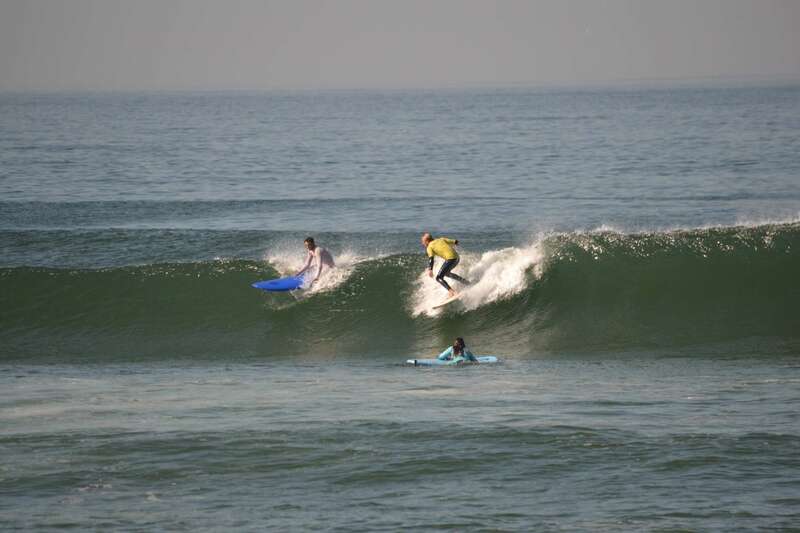 Surfivor Surf Camp offers excellent surf courses for intermediates, in two very different surf locations in Northern Portugal. For those interested in surf trips for more than one week, we also offer great discounts. Please contact us to discuss your surf goals, or to ask any questions. We’re always happy to help share the stoke!